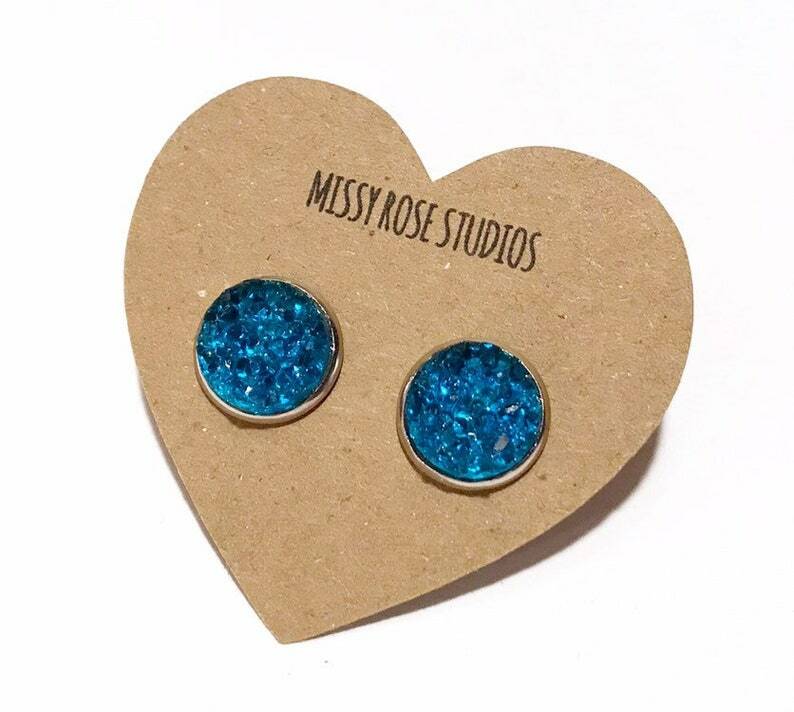 The brightest shade of cerulean blue is hard to capture on media but these resin druzy style stud earrings are very bold. 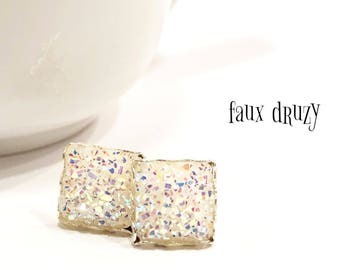 12mm / 0.47” in diameter, round chunky druzy is set into stainless steel settings. Stainless steel is tarnish resistant and safe for sensitive ears. Lightweight but large, please see photo above for size comparison. 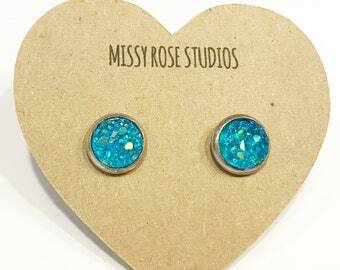 Great earrings for any gender to celebrate an anniversary, birthday, or just because.